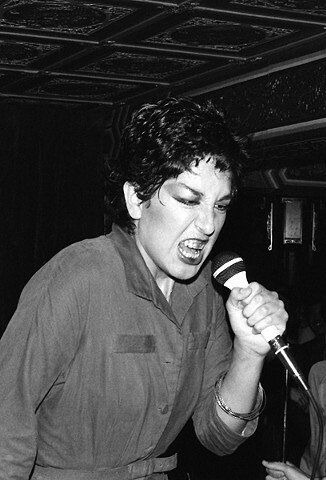 This photograph of Alice Bag, co-founder of the influential punk band The Bags was taken at The Hong Kong Cafe in Los Angeles' Chinatown. The image has been exhibited widely in both gallery and museum exhibitions. It is the cover photograph for Bag's memoir, Violence Girl as well as being licensed by the courtier fashion house Alexander McQueen.